New York, New York: A beautiful catastrophe. A lot has changed over the years in the city that doesn't sleep. 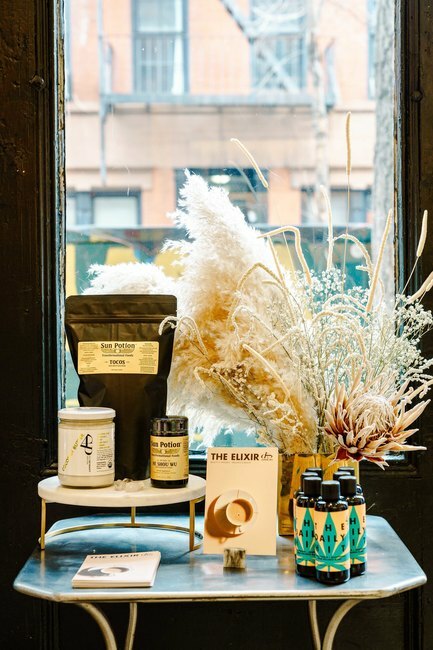 New trends in health and wellness are permeating the beauty scene, fashion, art — even your morning latte. But it's not all virtuous. As it always has, Manhattan offers equal opportunities for detoxing and retoxing. Eat and drink and shop and explore responsibly or with reckless abandon. Or do a little bit of both over the course of your stay: This is truly the New York way. 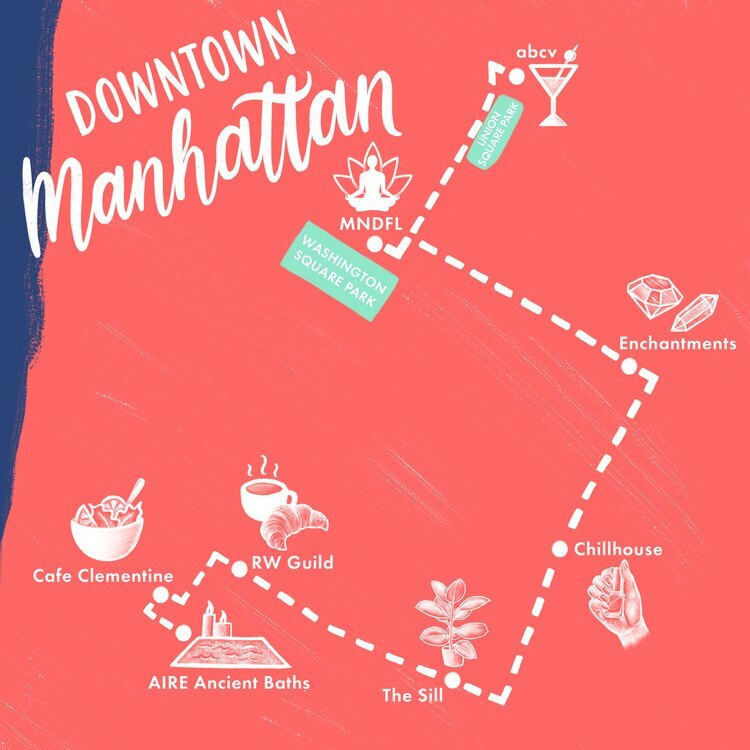 Downtown Manhattan during the week is a bustling mix of Wall Street suits and impossibly chic New Yorkers finding their caffeine fixes or latest fashion inspirations. But in between the offices and old storefronts are secret havens where New Yorkers find refuge from the city without leaving the neighborhood. 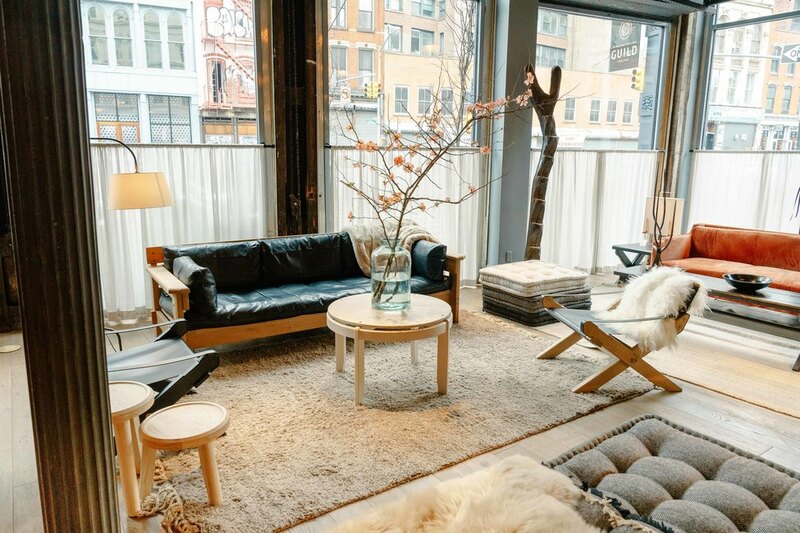 Wake up in Tribeca, poster child of the chic industrial aesthetic with a mellow morning vibe. One of the best ways to get going is to head below the wide cobblestone streets to the gorgeous subterranean Aire Ancient Baths, a unique spa that channels old-world vibes. Guests make their way through a series of cavernous pools (salt water, hot-and-cold plunge, bubbling jets) lit by flickering terra-cotta lanterns. 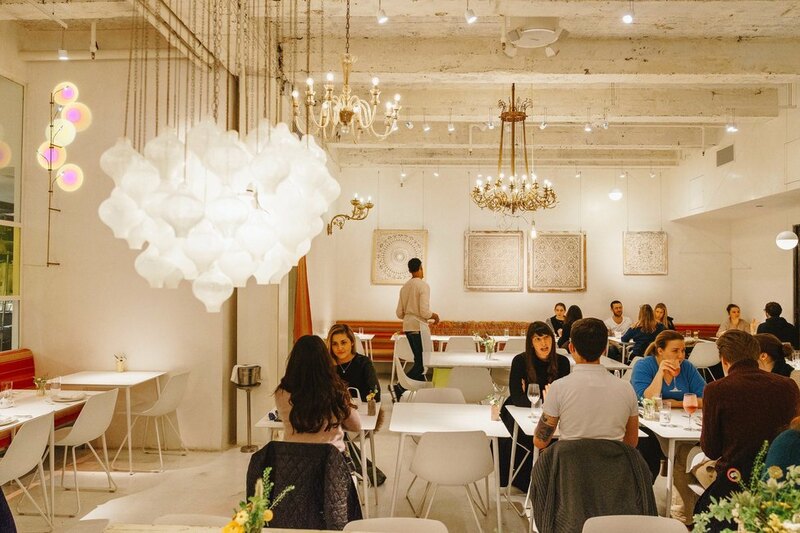 A glass hamam with heated marble benches makes for a great juice-sipping perch. Massage treatments can be booked as a 15-minute refresher or a one-hour, four-handed extravaganza. All of that beneficial soaking will stoke the appetite. 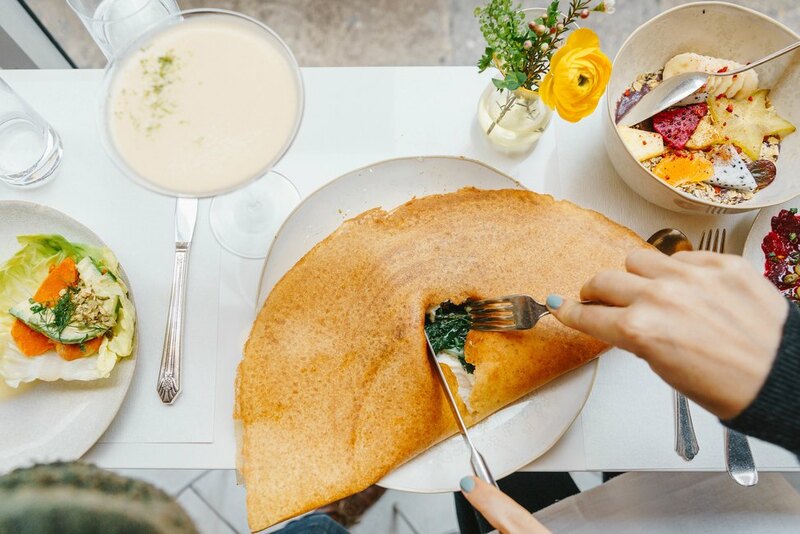 Have a quick and healthy nosh at Cafe Clementine, a tiny mom-and-pop shop where everything is homemade and unfussy. For something with a scene that will please the eye, head to the brand-new RW Guild (launched by powerhouse designers Roman + Williams), a stunning 7,000-square-foot showroom that does quadruple duty as a French-leaning cafe, a library, a florist and a furniture mecca. 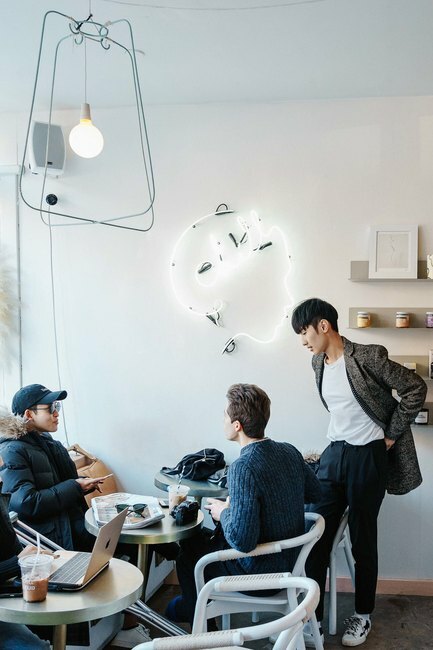 Wind your way up the Lower East Side to the East Village, stopping along the way for a beetroot beverage or iced matcha and manicure at Chillhouse. The multitasking space has a laid-back, L.A. feel — wellness at an accessible price point. From there it's a brisk walk to NYC's oldest occult-supply shop, a funky little joint called Enchantments that has been casting spells since the early '80s. The recent trend in holistic healing has brought in a new wave of crystal shoppers and herbal hobbyists. Pick up an encyclopedia of global goddesses or astrological pillar candles to help manifest good intentions. Then put the practice into place. You can book a single cushion at drop-in meditation space MNDFUL, where teachers from a variety of traditions lead 30-, 45- and 60-minute classes for as little as $10. 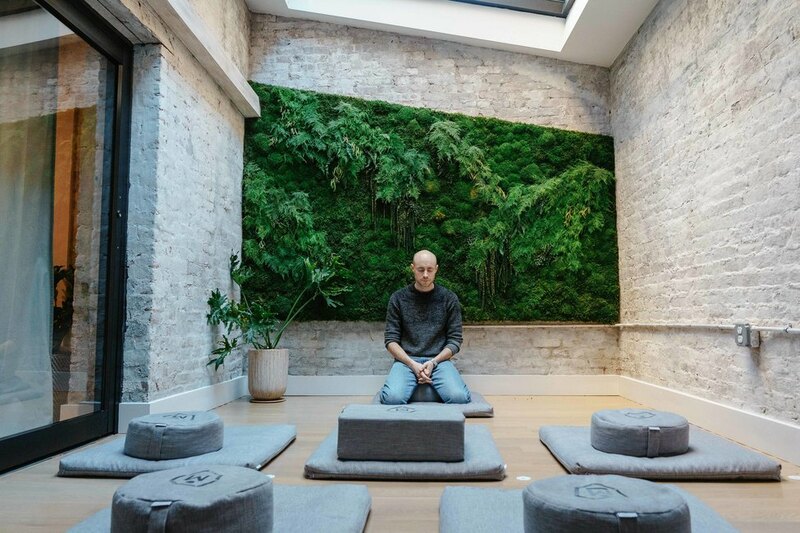 Yogic mantras, Tibetan singing bowls and Kundalini tune-ups feature heavily in a Zen loft space in the middle of Greenwich Village. 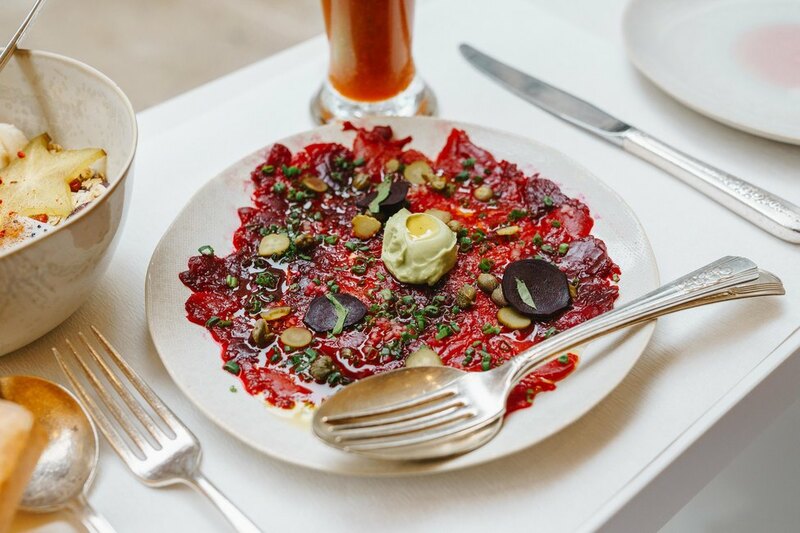 Come dinnertime, book a table at ABCV, chef Jean Georges' modern temple for vegetable worship. The space is a total knockout, thanks to its design treatment by ABC Carpet & Home; the restaurant is actually at the back of the seven-story, magical home-furnishings store. 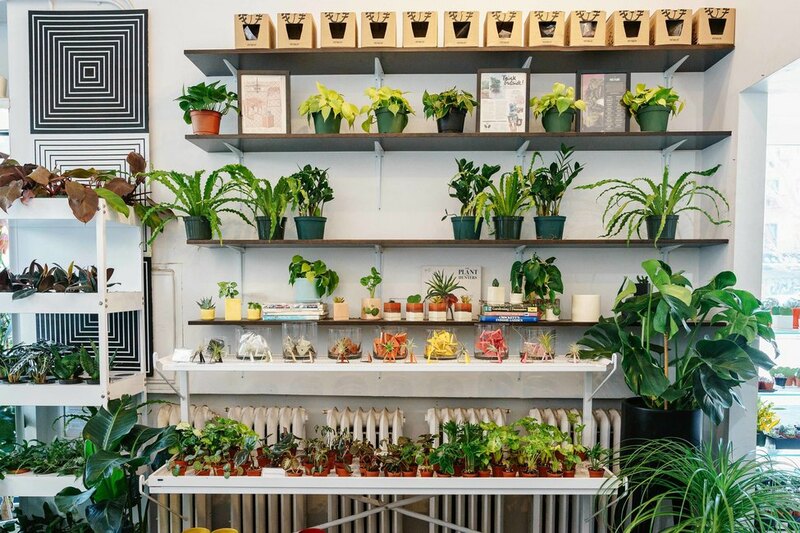 The eatery is a beauty — decked with flowers and rustic light fixtures, colorful textiles, delicate ceramics and tabletop accessories that can all be purchased at the store. The inventive fruit and herbal tonics and "high vibration" foods will render joy inside and out. 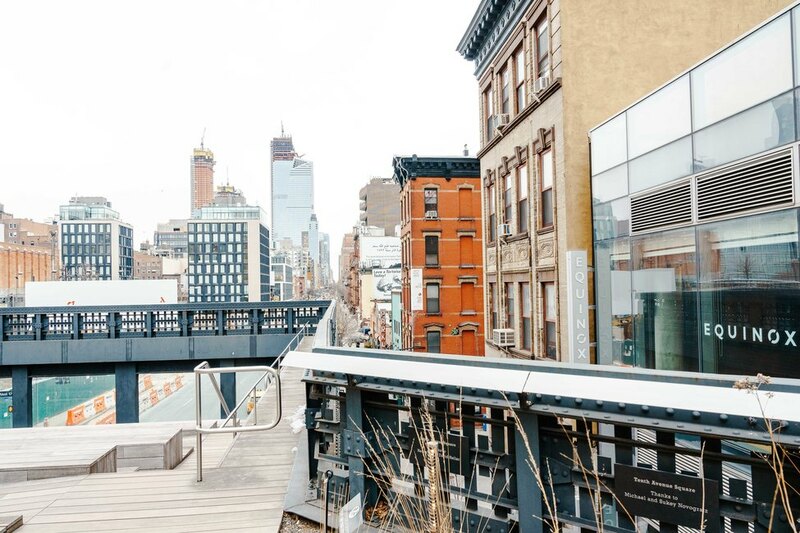 The addition of the green, view-filled High Line has changed Chelsea and the Meatpacking District for the better, adding a respite from the city and a great vantage point for getting a sense of the entire area below. 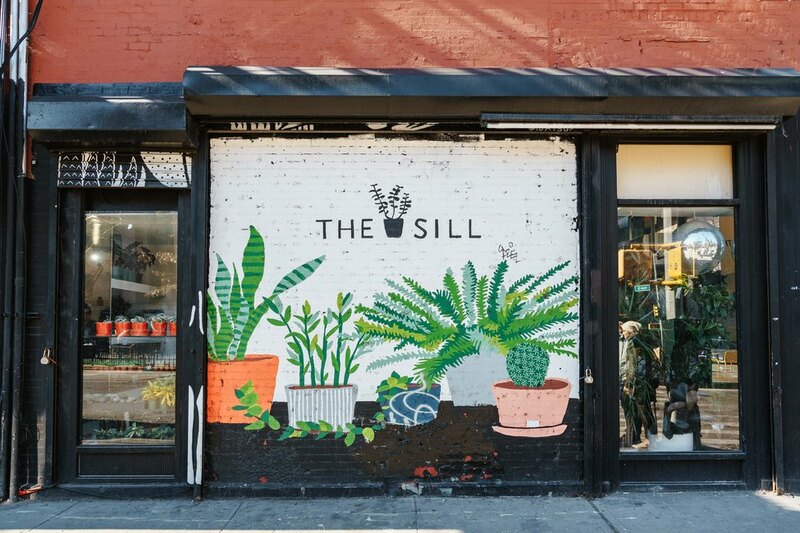 Tucked in between historic buildings are hip shops and restaurants you can__'__t find anywhere else — until they decide to open an L.A. branch. Kick off your day on the West Side by boosting productivity and reducing stress at Inscape, a 5,000-square-foot studio space for guided meditations at your leisure (guests use audio guides and can drop in as early as 7:15 some mornings). 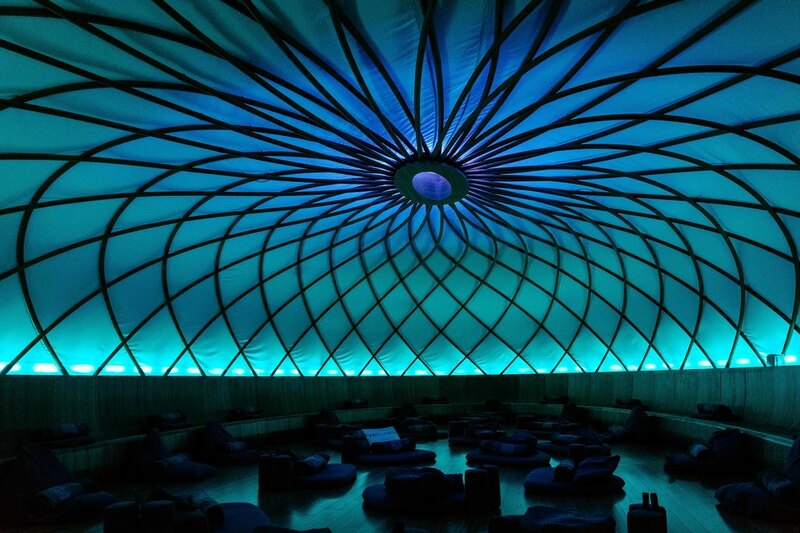 Soundscapes, lighting displays and scent experiences under a big, plush dome or cozy alcove take sitting in lotus position to a whole new level of awareness. 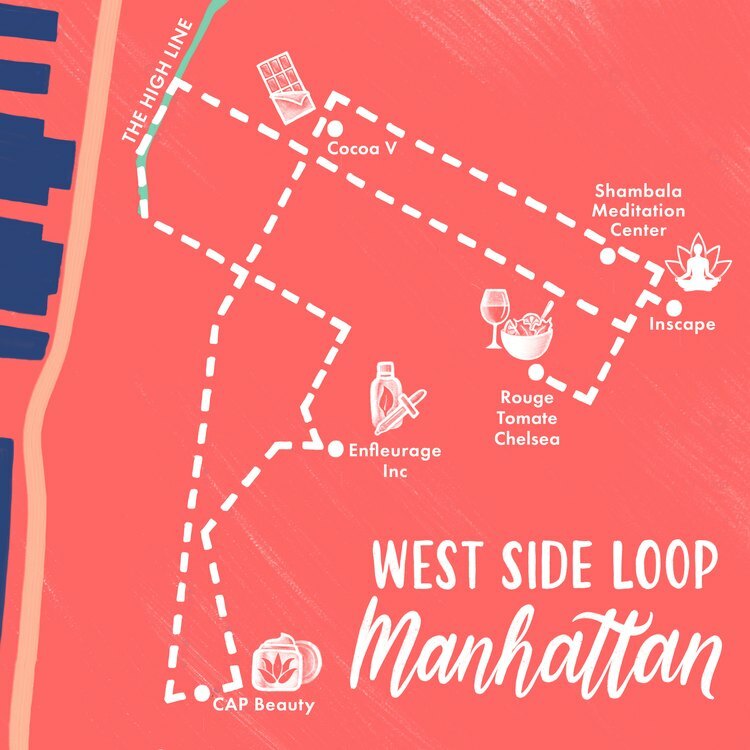 Purchase a hydrating beverage on your way out the door and make your way over to the pedestrian path on the beautifully developed High Line (go up to the elevated garden and head south). Walk it for a few blocks to get a bird's-eye view, then go back to street level in order to hit the protected boardwalk on the West Side Highway and the water's edge. 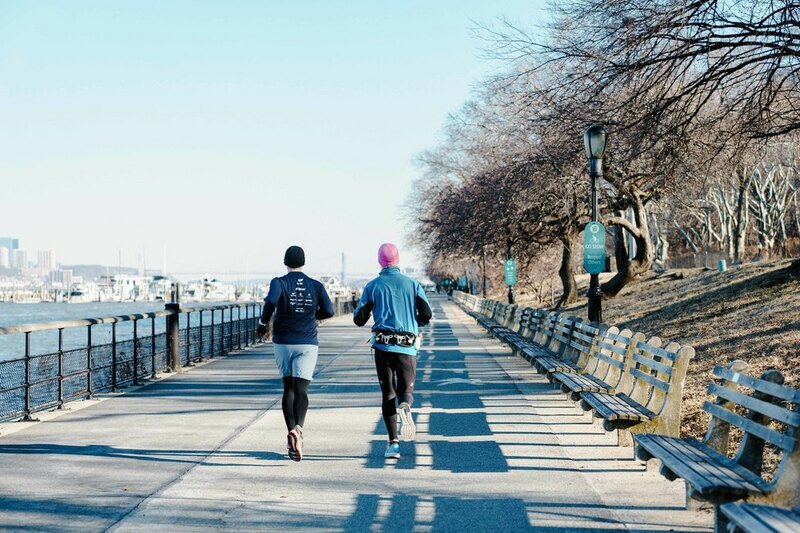 Dodge the runners, cyclists and baby carriages as you stroll along the Hudson River. 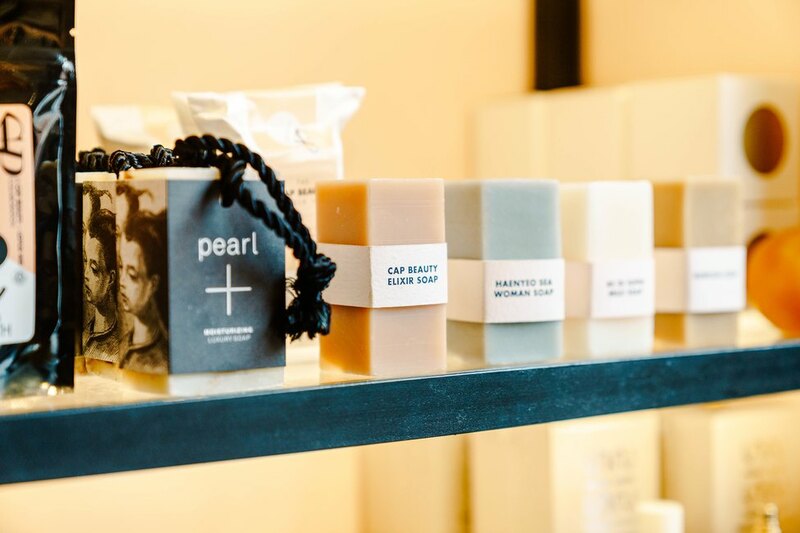 Wellness outfit CAP Beauty, on an adorable street in the heart of the charming West Village, is your next destination. The all-natural beauty shop-spa hybrid has an excellent range of products (potions, cures, tinctures), a menu of services (postnatal, healing) and a cult following. 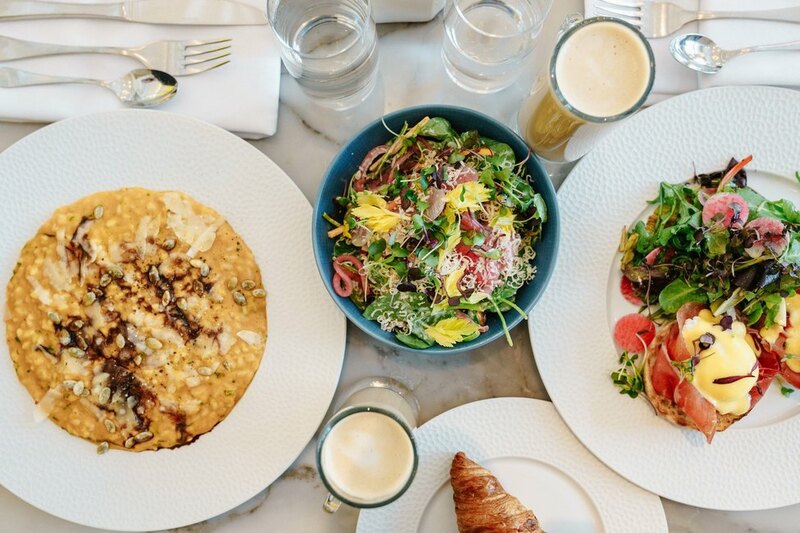 Repeat the mantra: "good food, good health, clean lifestyle" as you taste, test and try everything from Sun Potion to hydrating skin tonics to alchemic facials. Feel like a newer you than ever before? Time for a signature scent to match. Waft a few shopping blocks north to Enfleurage, a sliver of a boutique on West 13th Street peddling high-quality essential oils from all over the world. Like an olfactory laboratory, would-be noses can sidle up to the counter and mix and match their own perfect concoction of aromatics and aromatherapies to turn into perfumes, diffusers, hydrosols and spritzes. The owner even grows her own frankincense in Oman. 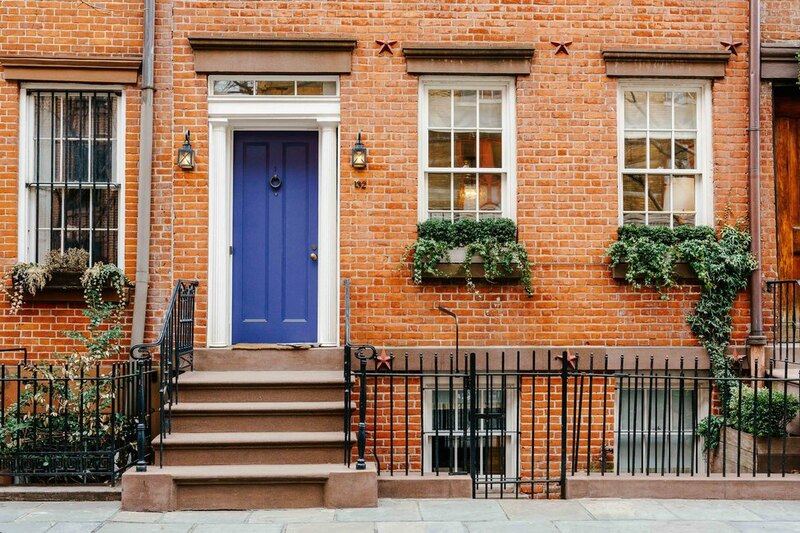 If it's a beautiful day in the neighborhood, make your way through bustling Chelsea and up to Cocoa V for a treat. The gluten-free, dairy-free chocolate shop only offers ethical, kosher, handcrafted confections and drinks that range from bonbons and brittle to cakes, cookies and hot chocolate. 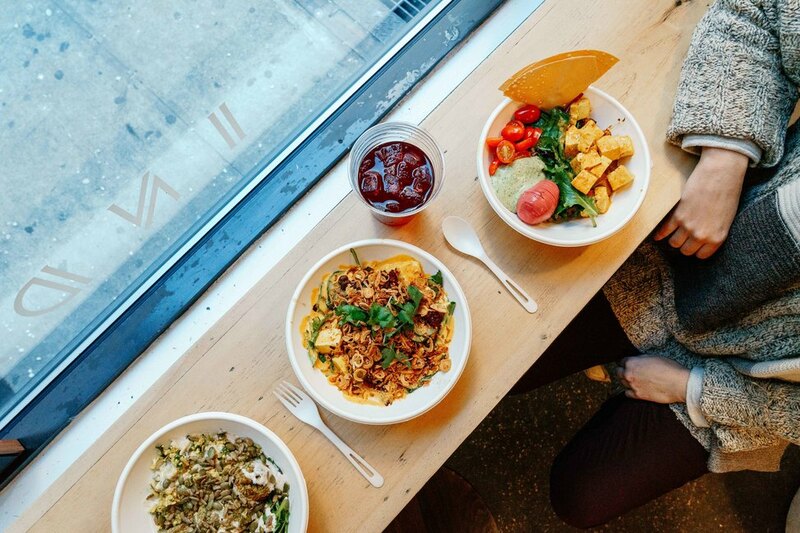 If you're after something a bit more substantial and savory, hoof it to the healthy, fast-casual Inday before cruising around Madison Square Park or taking in the NoMad neighborhood (a burgeoning food mecca of its own). Clean and modern in design and execution, "good karma served daily" includes Indian-inspired bowls of cauliflower rice, quinoa, super greens, sustainable meats and curries. For an uplifting afternoon for mind, body and spirit, take in a session at Shambala Meditation Center of New York, the oldest meditation center in New York City. For more than five decades the venue has guided New Yorkers in meditation, mindfulness and Buddhist teachings, throwing down its anchor in the Dharma District. It's the real deal, and the compassionate, loving instructors will melt the hearts of even the most jaded Manhattanites. Some classes are free, $1, $2 and $5; workshops, public sittings and weekly dharma gatherings are posted on its jam-packed calendar. 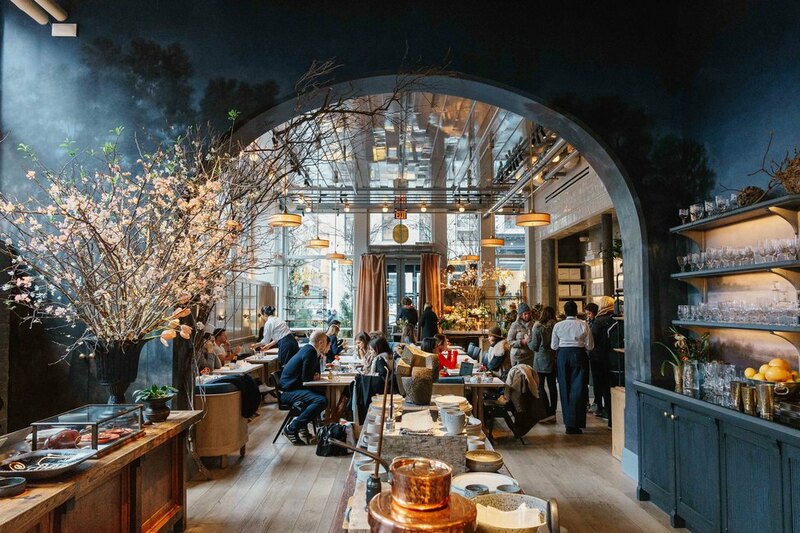 A colorful old landmarked carriage house is home to Rouge Tomate Chelsea, a destination for Health Through Food philosophy. 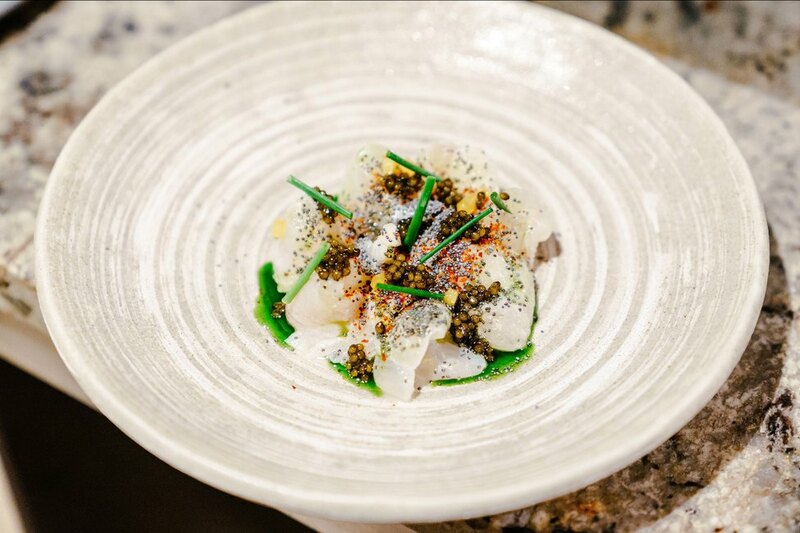 The atmosphere is lively and open, the food is vegetable-based and sustainable and the wine list is ambitious and tasty. There's a living plant wall, an exposed kitchen and a thoughtful sound and light installation — making it an all-around pleasant way to end your day with the last lick of lemon curd and chantilly cream. 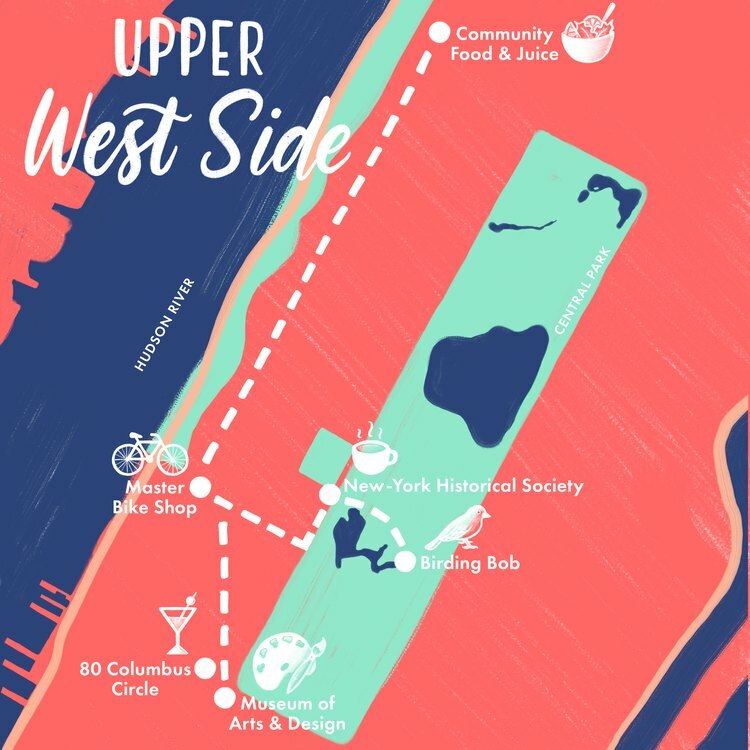 The Upper West Side of Manhattan might be slightly less hip than its downtown neighbors, but what it may lack in cool factor, it more than makes up for with parks galore, river walks and some of the most historical spots in the city — not to mention great eats and hidden gems. 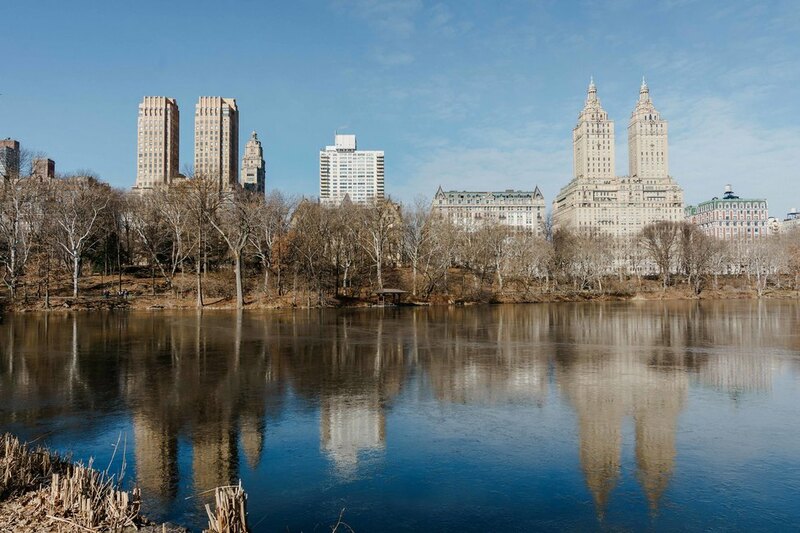 It's early morning and Central Park is all yours. The place is massive, a feat of green engineering anchored in Upper Manhattan. Amble under big oaks, wind your way around scenic lakes and over bridges, climb large rocks for a better vantage point of the skyline and meet up on a morning tour with local fixture Robert DeCandido, Ph.D. — aka Birding Bob. 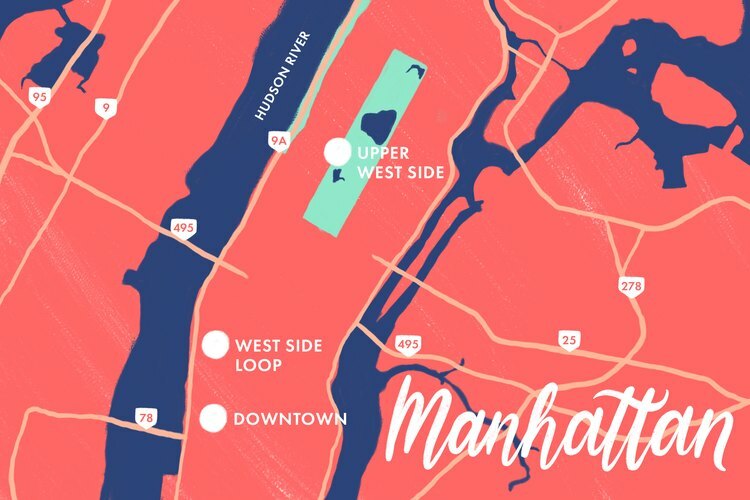 For a mere $10, DeCandido will reveal Central Park as a wildlife refuge for more than 250 species of beautiful, elusive winged creatures, from warblers to songbirds to flycatchers. Though serious birders make their way along the paths, binoculars and notepads in hand, DeCandido loves sharing his extensive field experience with newbies. Group walks might be themed around a migratory event or a species (Eastern screech owls! ), but private tours with him or his colleague, nature photographer Deborah Allen, are available throughout the year. 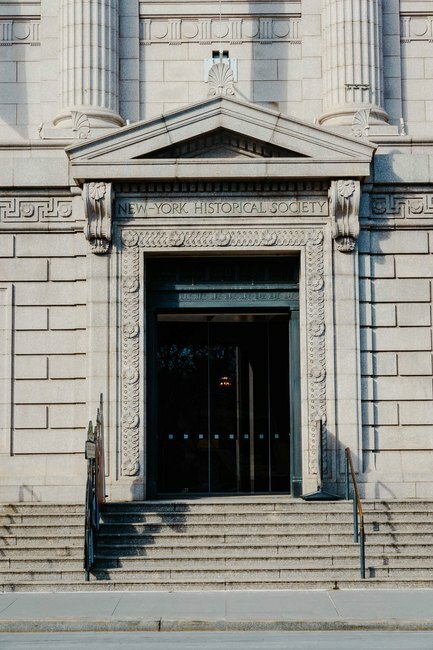 After the ornithological jaunt, head over to the New York Historical Society on the Upper West Side for a brush with the past and brunch at Caffe Storico. 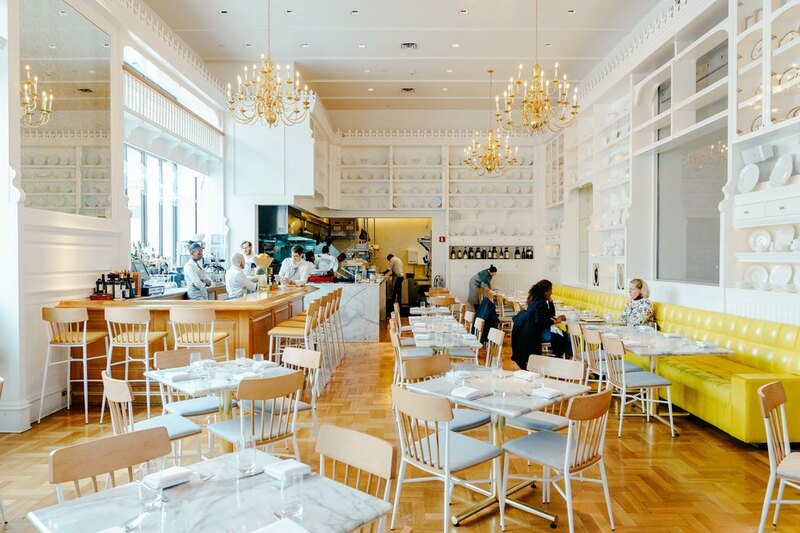 The bright, airy, charming Italian bistro is decorated with Victorian-style woodwork and rows of shelves lined with the museum's collection of 19th-century china. A meal may include Venetian bar snacks, poached eggs with prosciutto, Italian crepes with hazelnuts and orange and a strong espresso or two. Now properly fueled, peruse the halls of the landmark building for exhibitions focusing on various cultural movements and happenings in art, commerce, politics, civil rights and more over the course of the city's history. 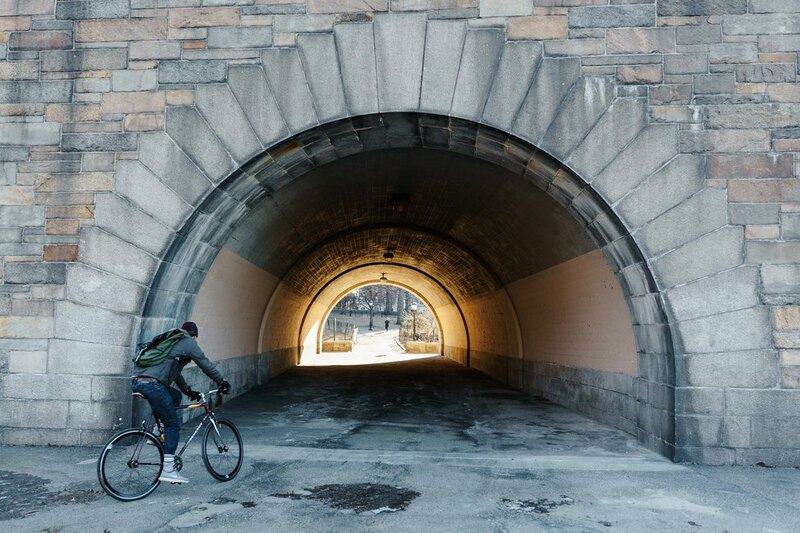 On a beautiful day, a bike ride up the waterfront and through Riverside Park feels like an urban escape. 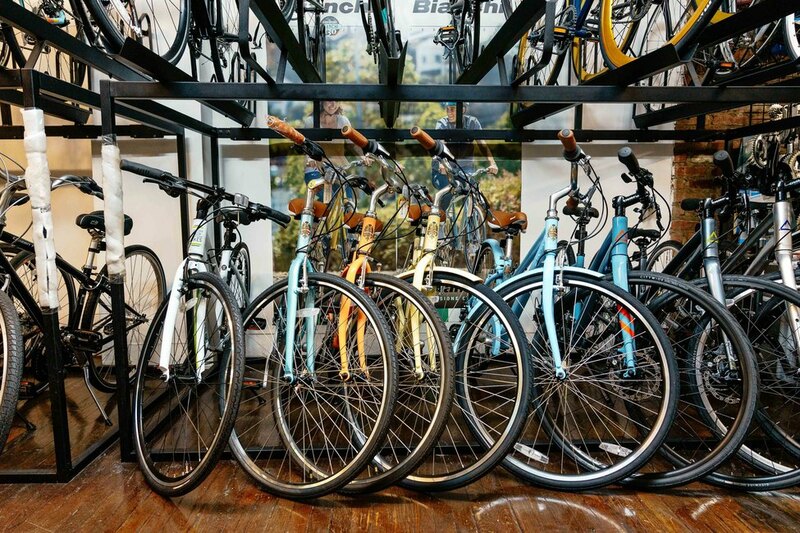 Rentals and tours can be procured at Riverside Park Bike Rental, but local shop Master Bike Shop, on 72nd Street, is conveniently located near the Boat Basin and the entrance to the park, which stretches four miles up to 158th Street along the Hudson River. It's a spectacular waterfront locale, with stately old elm trees, sylvan lawns and rocky outposts that echo those of Central Park. 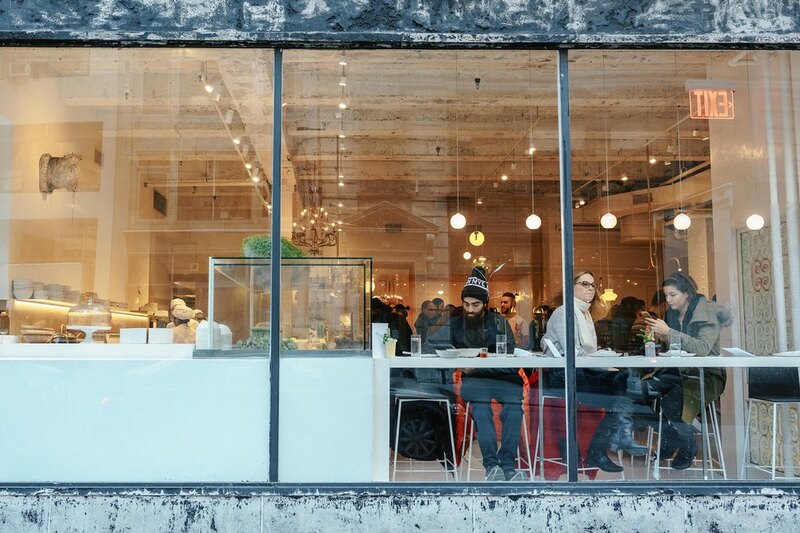 Find your afternoon pick-me-up in Morningside Heights at local favorite Community Food & Juice. Seasonal, local and organic is the name of the game, with eco bona fides like kitchen composting and a menu of sustainable wines. The Columbia University-adjacent spot has sidewalk seating when the weather allows, giving patrons a chance to do some splendid people-watching while sipping on Sunshine Juice (oranges, carrots, lemon). 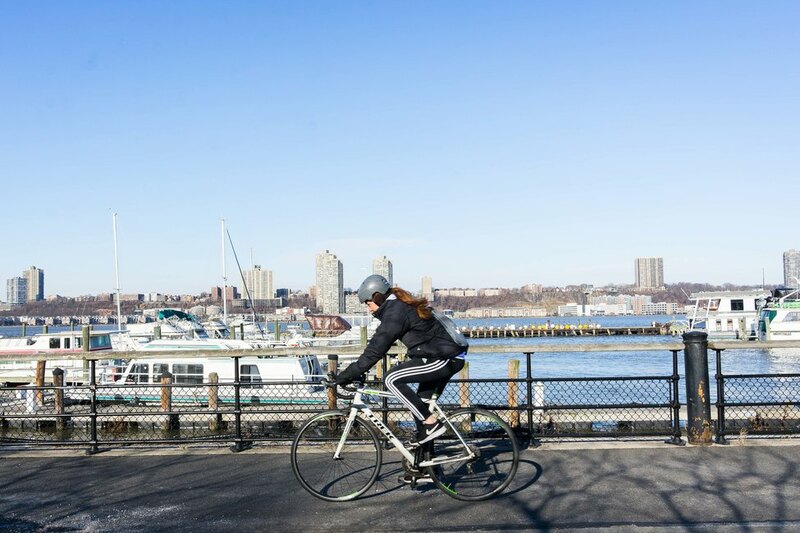 A ride back downtown along the protected bike path and Hudson River promenade will do the body good. After cruising at sea level, it's nice to see NYC from new heights. Even though The Museum of Arts and Design resides in a funky building right on Columbus Circle, it can be easy to miss. The top-floor restaurant offers gazillion-dollar views of Central Park for the price of dinner. Refreshingly, the decor is '60s pop meets '80s Manhattan. There's nothing subtle about the place. Reserve a table in the early evening to make the most of those floor-to-ceiling windows. In this neck of the woods, high-end spaces really deliver on the wow factor. You'll find the city's most expensive tasting menus and a horde of Michelin stars on high floors in big glass towers. The latest game in town is all about over-the-top cocktails imagined by chef Grant Achatz (Chicago's most famous culinary export). 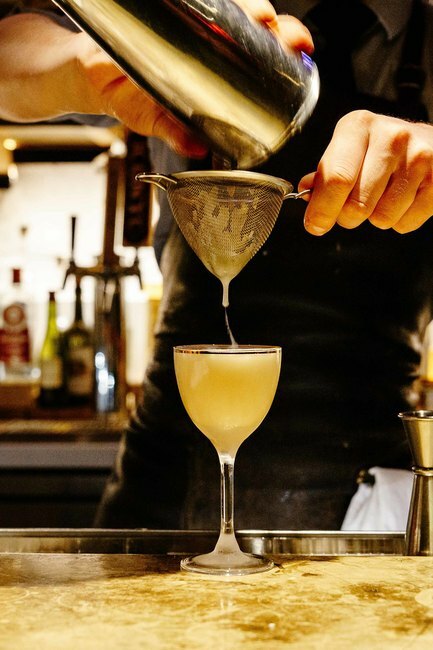 On the 35th floor of 80 Columbus Circle, small plates and inventive drinks are served in a cozy, clubby environment that feels like a speakeasy. Watching expert bartenders concoct beverages with beakers and flames and flowers at The Aviary feels like watching sleight of hand. The drinks are pure magic. Jeralyn Gerba is the co-founder and editorial director of the travel site FATHOM. You can follow her on Instagram @jgerba and @fathomwaytogo.